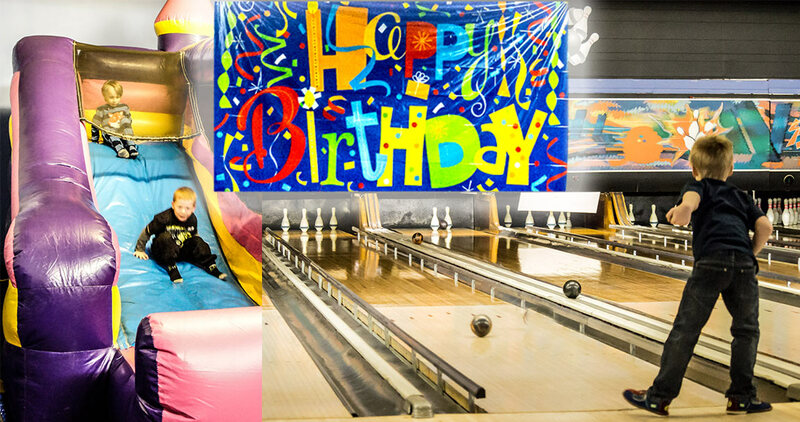 The Bowling Alley is the only local Grey and Bruce 5 & 10 pin bowling center offering: billiards, arcade (15+games), a multi-purpose room, and a sports bar. The room must be booked ahead of time with a minimum of 6 participants or more. The Bowling Alley has always been about FUN! We strive to create memories that last a lifetime among, friends, families, coworkers, and sometimes rivalries. lol. And of course 5 & 10 bowling! Book your child's bday party! 2 hr specials, meals (pizza, drinks, ice cream) included, You bring the kids and cake, we do the rest. 1 hr of activity (bowling or bouncy castles or both!) in 1 hr party area. Get together and have some fun with Training Days and/or Staff Appreciation Parties! Hockey Teams, Youth Groups, Church Social Clubs, all are welcome!